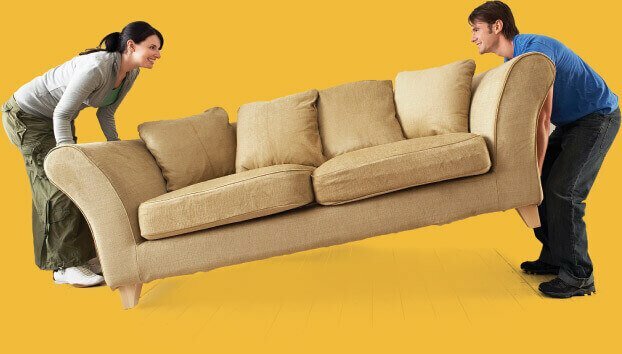 We Are Professional Movers Dedicated to Making Your Move Simplicity Itself! The Man are a leading man and van moving service. Whilst stationed in London, we offer delivery to every part of the UK. 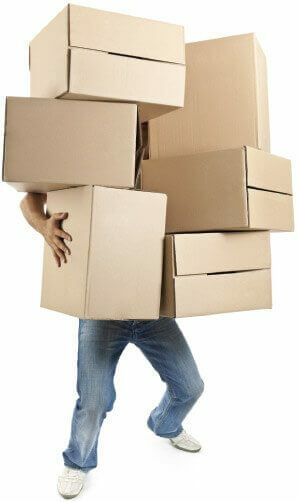 We offer a wide assortment of removal and logistics solutions for people seeking home moving services, office moving services, straight man and van services, and any other kind of moving service. For years, we have provided a dependable, trustworthy, friendly, and competitively priced service to individuals and families and businesses large and small. We have a large selection of vans (and men!) which are all maintained to a high standard, and professionally serviced regularly to ensure optimal performance and cleanliness. We're not willing to skimp on cost, and spare no expense to ensure we deliver the best possible man and van moving service to our customer. We also work at anti-social hours and weekends, so we won't disrupt your social life or your workflow when we conduct our man and van moving services, either. Our services are available at very short notice indeed, and we are easily contactable by phone on 020 8746 4410 - why not give us a call today, and see whether we can make you with your moving project! Whether you're relocating to a new home or office, are collecting large items you have purchased, or merely require a London man and van to ferry loads to a storage depot, we're certain that we have a fleet which is sizeable and diverse enough to cater to your needs. Our vehicles range from small vans for personal loads, right through to large removal trucks. No job is too big or too small for our man and van company London; whether we're collecting furniture for you, or helping you move your entire office to fresh pastures, we have you covered. we,can be in constant contact with them, and be sure of their whereabouts whenever necessary. This is also useful, as they will constantly be in possession of a checklist and job brief, so they perpetually have a clear idea of what their responsibilities are, and what we, and you, expect of them. Additionally, every vehicle on our fleet is also equipped with essentials for secure and safe moving, such as packing material and accessories, and blankets, and all of our drives are professionally trained and certified. There are currently over 7 million illegal drivers on Britain's roads, and in such a climate it just doesn't make sense to leave the fate of your treasured possessions up to chance. We understand the importance of offering a comprehensive, end-to-end service to our customers. From the off, we try to make your move as easy as possible by offering you helpful input and advice on how to pack your possessions and structure your loads. We will also assist you in compiling checklists for packing and moving, allowing you to keep track of what gets packed and what gets moved, and when. Every member of our team has years of experience in helping customers pack and move their possessions, and we aim to give you as much guidance as you require every step of the way. We also understand that reduced stress is the key to a happy move, which is why we always arrive punctually, and our staff display a positive and professional 'can do' attitude every minute of every job they conduct. We are dedicated to helping you move whatever the circumstances, and we don't let traffic jams or adverse weather conditions slow us down or stop us in our tracks. We also offer unbeatably competitive prices for our London man and van services. When you hire us, we agree a price with you which is specific to your needs and has no hidden extras, and what you pay for is exactly what we deliver. Everything else - including an up-front quotation and a preliminary moving plan based on the specification you initially supply us with - is totally free of charge, and comes with no obligation for you to utilise our services. We offer free quotations because we understand the importance of browsing different services and comparing prices. We also offer the same rates every day of the week, even if that means working on a Saturday or Sunday. If your possessions matter to you, it's sensible to entrust a man and van service with their passage and delivery. We are the affordable solution for all your man and van and moving service London needs. Put simply, we are dedicated to providing you with the ultimate man and van company money can buy - and if you choose our services, it won't take all the money in the world to achieve your dreams of a hassle-free, pleasant move! We're your best bet for office moving services, removal services and much, much more. Our philosophy is that stress-free moving of any kind is a right for our customers, and not a privilege, which is why we do everything we can to make your move as smooth, efficient and enjoyable as possible. Call us today on 020 8746 4410 for a free quote, and see what we'll do to make your move a breeze, and how little we'll charge you for the pleasure! This is a removal company that I can count on. I used The Man Moving Company for a rather big move the other week and they didn't let me down. I purchased a load of removal boxes from The Man and Van at a cheap price. They did the job, were sturdy and protected my items well. I needed a company to take care of my removals job in a professional manner. I found that in Removals Services. Great house moving experience. Have never seen more hard-working and efficient professionals! The movers I hired from The Man Removals were brilliant! Can't be faulted in any way.